is there really any money savings in home roasting? these machines seem to cost a lot of money... I understand with shaving. it saves money in the long run. How would one formulate a good northern italian style espresso blend? Shaving is a good comparison to home roasting. If shaving with canned foam and using a cartridge razor pleases you. Then why change? On the other hand, if you want coffee which has subtleties and flavor changes as the cup cools, then you might want to home roast. Store bought specialty roasted coffee can fetch upwards of $15 a pound. The green beans that yielded that specialty coffee can be purchased for between 5 and 8 a pound. If instant coffee pleases you stay with the instant. As to the second question, it can take a lifetime for you to learn the answer. Anyone can turn coffee beans brown. The art of roasting takes a lifetime to learn. That's one of the things that makes roasting coffee a delight. (01-24-2018, 05:07 AM)asiliski Wrote: is there really any money savings in home roasting? these machines seem to cost a lot of money... I understand with shaving. it saves money in the long run. How would one formulate a good northern italian style espresso blend? You do not need a dedicated machine to roast beans. A skillet and a wood spoon on your backyard grill will teach you plenty about roasting with no cost but a few beans. Buy a pound from Sweet Maria's, check out the library while you're there. Pay attention while you burn a batch or two and you'll be on your way to better coffee every morning and decide if it's worth the effort. 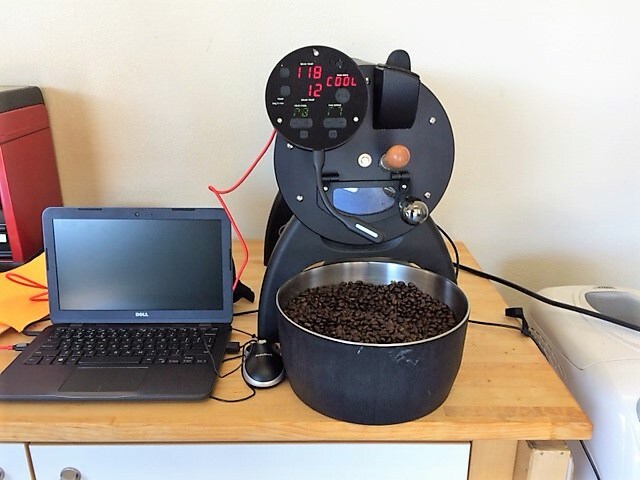 The dedicated machines let you program profiles to match a particular bean, repeat it faithfully and manage smoke and/or chaff and stop the roast for you. Pretty cool. But you can roast good coffee without. I have a low cost investment in air poppers and see no need to move up until they crash. When these give up I'll build a drum roaster run by the Dewalt cordless and it's back to where it all started, the grill. Not fancy, just good coffee and good fun. I've been roasting in a progressive series of roasters, kind of like shaving with a progressive parade of razors, lathering with same routine for brushes. It's a wonderful thing for anyone to get into. BarryLu is right on I say ditto to that. I guess my "go to" roaster is the RK Drum 6#er. Over the years, I have been steadily increasing my coffee customer base, word of mouth is all it takes and the RK 6 gets me 8-10 oz bags of specialty coffee. A nice Central always puts a smile on coffee lover's faces as well. The Sonofresco is a wonderful roaster but with the quantity limitation of 1# just not enough to keep up for my needs. I say, "Well, here's the deal...would you rather feed your horse fresh, wholesome, origin traceable oats, or oats that have been through another horse"? That's when I get their attentioin! I'm not a coffee drinker, tried it once, not for me. But , isn't one of the most expensive coffees, one that Does just what you wouldn't do for your horse? As for the topic of home roasting, it could save money if you are able to source high quality green beans. But it is like cooking in that it takes some practice and experience, and you have to be interested in the journey. For me, I'd rather buy the roasted coffee but I totally get the interest in home roasting - control, experimentation, etc. I usually follow a recipe when I cook so that isn't a similar interest I can cultivate with the coffee roasting. Brewing is enough parameters to tweak. 'more or less hunting for poo truffles' totally puts this stuff in perspective. I drink stove top espresso (brikka) with low acid italian style beans. Nothing fancy, but tastes great. Wow, good to know I have a solid reason not to drink Civet Cat Poo! Regarding money savings, if one goes with a dedicated roaster (as opposed to a popcorn cooker or pan on the grill), I think the cost of equipment eats up a lot of the savings. Given the cost of green beans and the yield (about 85% -- roasted beans have less weight than green beans), I figure I pay about $8 per pound of exceptional roasted coffee. That's a pretty good savings off of the retail cost of premium fresh-roasted coffee. But the equipment doesn't last forever without maintenance or replacement costs, so if you amortize the cost of a good roaster over its useful life, the cost per pound goes up. I haven't done the math, but I think in the long run there isn't much money savings. Some, but probably not the reason most people roast at home. But what you get is (a) fresh roasted beans, never again worrying about stale store-bought beans; (b) coffee exactly how you like it, with different coffee varieties to try; and © a cool fun hobby the results of which you can share with friends and family. 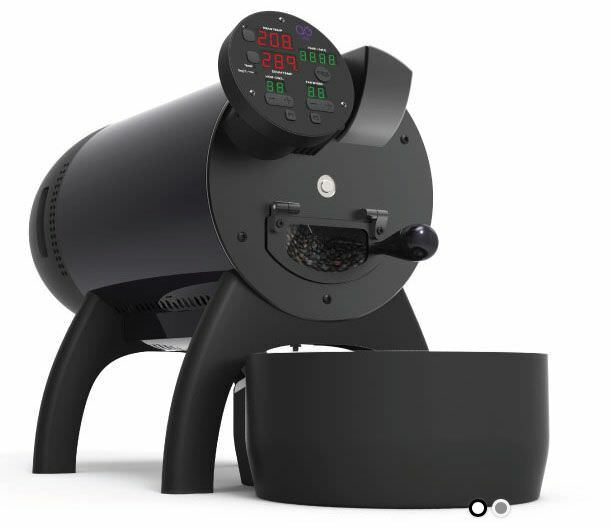 OK I just pulled the pin and ordered a Aillio Bullet Roaster. I can just hear Ricky Ricardo saying: "Lucy you have a lot splainin to do." (06-06-2018, 03:09 PM)Barrylu Wrote: OK I just pulled the pin and ordered a Aillio Bullet Roaster. I can just hear Ricky Ricardo saying: "Lucy you have a lot splainin to do." Congratulations Barry! I've been looking at the Aillio as my next roaster. Enjoy! Finally getting a handle on the Bullet. Just finished this 1K Ethiopian. I think it will prove to be as near perfect as one can get. So far I am pleased with the roaster. (07-27-2018, 12:18 PM)Barrylu Wrote: Finally getting a handle on the Bullet. Just finished this 1K Ethiopian. I think it will prove to be as near perfect as one can get. So far I am pleased with the roaster. I'm slowly contemplating the rabbit hole. I saw your post and quickly thought, wow! What a neat looking roaster. I immediately went to the company website, looked at the price, and thought…nope. I'm certain a compact high tech advice like this would certainly inspire me to roast my own as well. Congratulations! Looks fun. Thanks Barry, I'm a straight to the Wiborg straight razor kind of guy. For now I'm content with single origin beans and my V60. One day I'll jump right into the middle of the pool so to speak. Wow! I bet you're happy, a kilo at a time! Impressed to say the least. Looking at this info on roasting definitely has me interested. 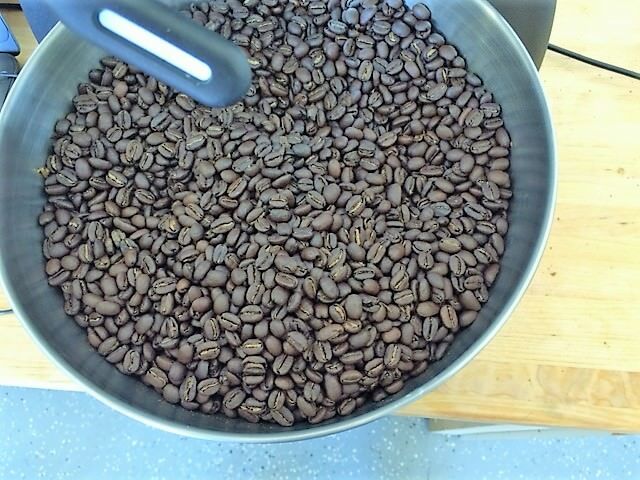 Curiosity makes me wonder where and how do you buy beans to roast? I'm going to have to google this for sure.